Jazzy pink pearls linked together with diamond cut gold ovals make up this stunning art deco style necklace. 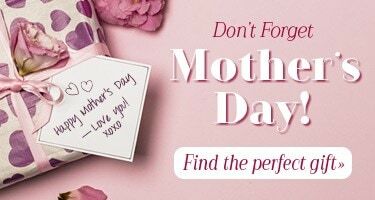 Imagine the days when ladies flaunted their independence and style, pearls and ovals drop into a Y and end with a beautiful Silver Mercury Dime minted from 1916 to 1945 layered in 24K gold that rests securely in a round bezel. 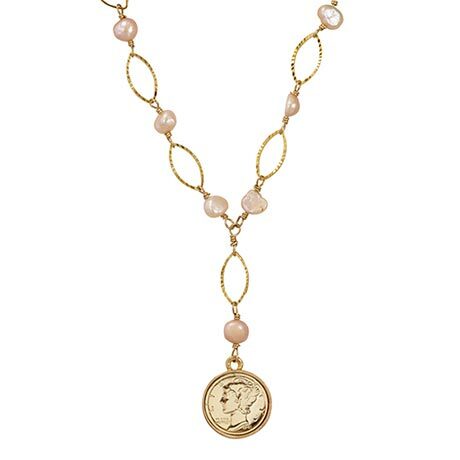 The Gold Layered Silver Mercury Dime Pearl Necklace is 22 inches and closes with a lobster claw clasp. A Certificate of Authenticity is included. Allow 2-3 weeks for delivery. No rush or gift box. Item can only be shipped within the Continental US.